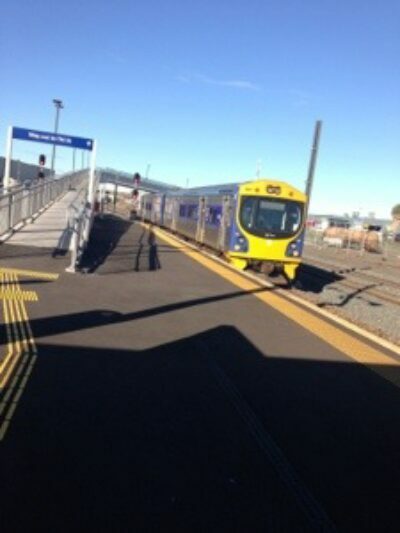 So here I am … Sitting on a train bound to Manukau. Britomart train station in Auckland city has only two rail platforms, which are feed by only one line. Which means the art of catching a train out of Auckland (for those of us who haven’t done it before) is a bit tricky. In all the major cities I’ve been to around the world train platforms aren’t really shared. At Waterloo I went to the same south west trains platform everyday to get to Surrey. In Auckland because of the shared platform set up, it’s quite easy to get on the wrong train. Oh well. No biggie, just need to change at the next stop. Also, I cocked up day one of using the ATHOP card, which fortunately was only a $10 lesson :) I didn’t tag on, so when I tagged off the system didn’t use monthly pass. How daft! I just put $195 on a card but the system says “nope - I’m gonna charge you, instead of using your unlimited use pass” - Stupid Auckland transport !!! !